The innovated, fail-safe battery replacement cabinet that keeps your clients up and running and you looking like a hero! 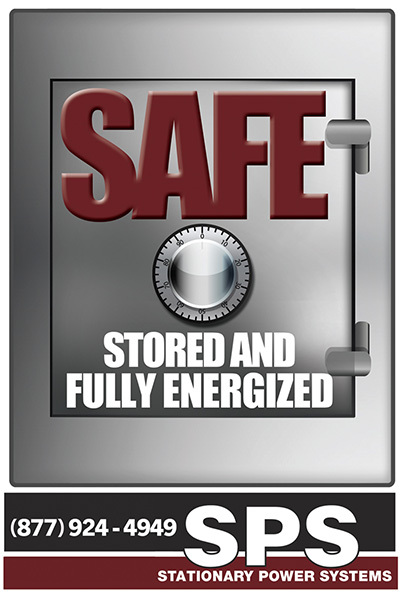 Stationary Power System’s SAFE (Stored and Fully Energized) Cabinet System is the smart solution for a rapid response to battery failures. With the fail-safe SAFE, precious downtime is reduced to just minutes with this portable, self-monitoring, float-charged battery-backup cabinet system.